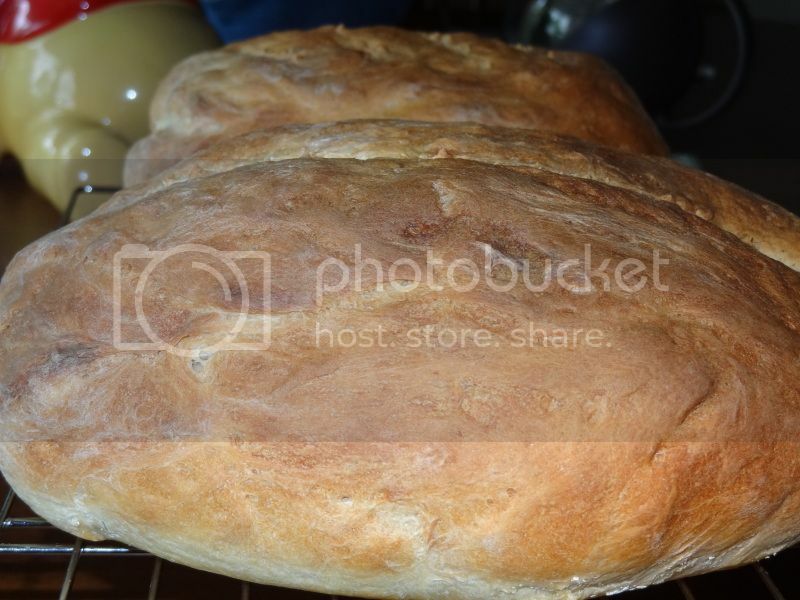 TheFishie's Kitchen and Home: Sourdough Success! Finally, success! As you may know, last week I started a sourdough starter using the simple recipe from King Arthur shared on Tracey's Culinary Adventures. My starter sat at room temperature for three days until I tried in on Sunday in my breadmaker. Though I used a simple King Arthur recipe, it was a disaster. I programmed the custom cycle exactly as described, however the thing either did not rise a second time or somehow collapsed before baking. 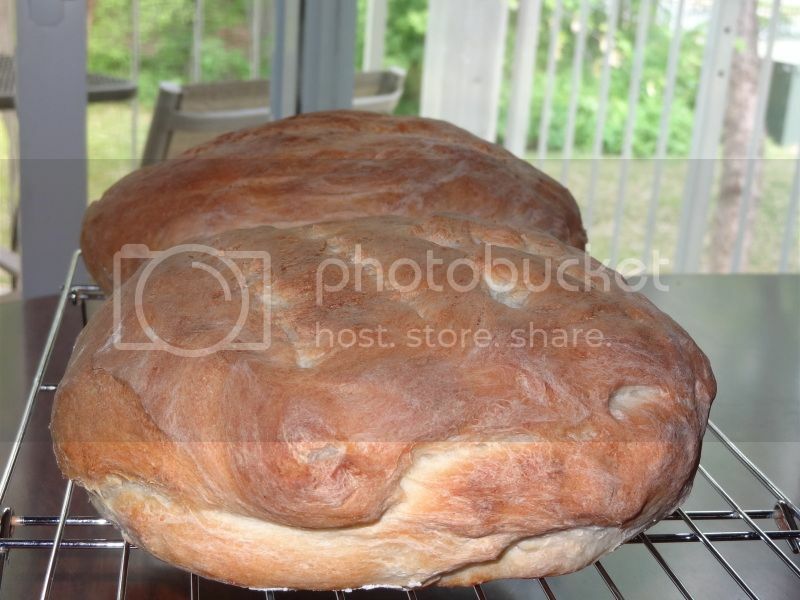 Thus, it did not have the wonderful bread top and looked like a pale lump (though this wasn't quite as alarming if you do a quick search of breadmaker sourdough breads). It was also tangy as heck. I wanted to throw it out, but my husband said he'd eat it (and has on sandwiches). However, I couldn't stomach it. Thus, I was determined to try again. After feeding my starter and letting it rest at room temperature for another couple days, I tried this Rustic Sourdough Bread recipe, also from King Arthur. I used my stand mixer for the kneading of the dough rather than my bread machine, then baked it in the oven. Fantastic! 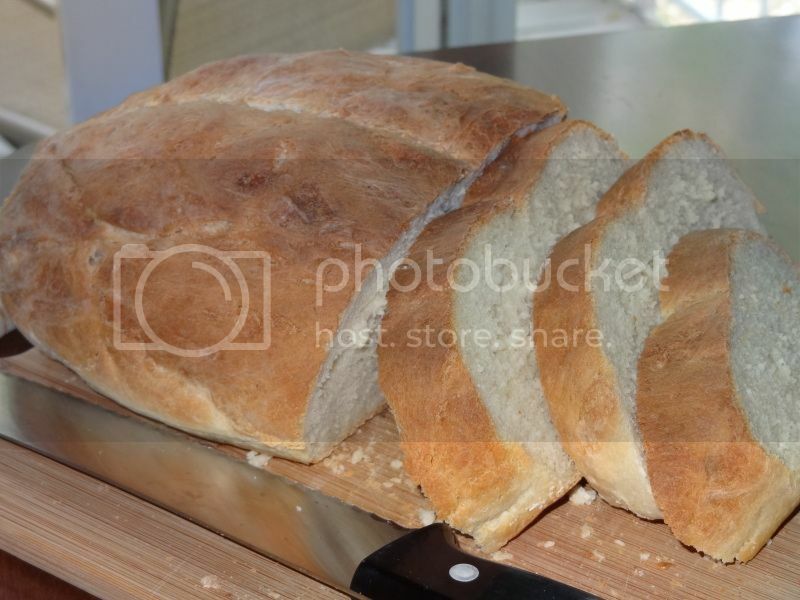 First of all, it looks like bread! Second, it's comfortably sour rather than overpowering like the first loaf. (It may be that a younger starter, which did smell quite strong as I noted on Saturday, makes a different sort of loaf than an older one but I think something went wrong during the bread machine cycles). I increased the rise time because it was a bit chilly this morning and swapped in bread flour for all-purpose. The recipe below reflects my changes. 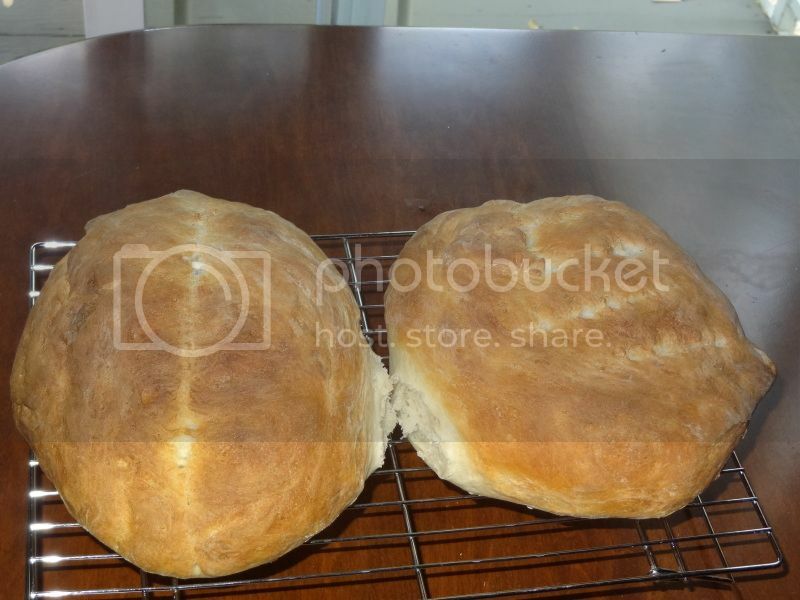 This recipe makes two good-sized loaves. If you have more patience, let the dough rise a bit longer at each step. 2. Place in a large bowl spritzed with canola spray. Cover with plastic wrap and let rise for 90-120 minutes or until doubled in size. 3. Divide dough in half and shape into loves. Cover with a towel and let rise for 1 hour.